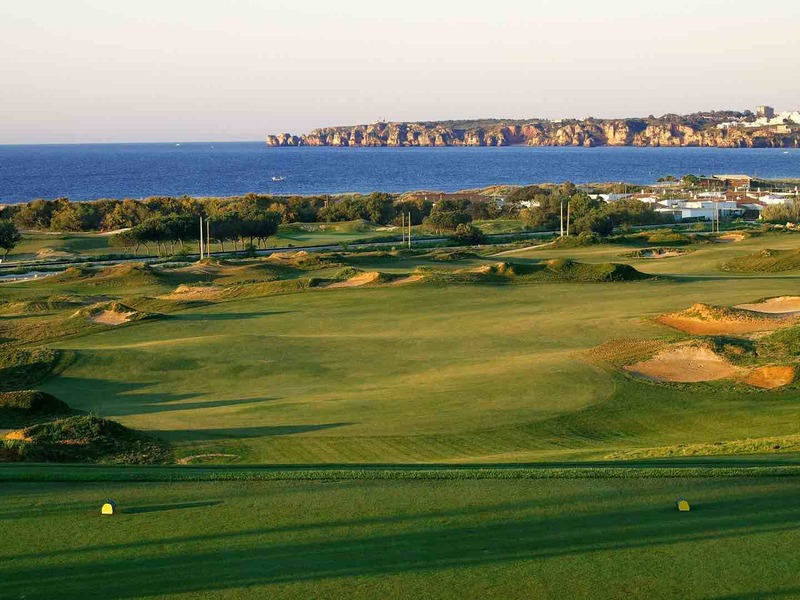 We have come in search of the work of Robert Trent Jones, and Palmares Onyria is the third and final course we will play on this journey from Lisbon to Lagos. Just 45 minutes from Faro International Airport, the gateway to the Algarve, is the seaside town of Lagos, which was the Nº1 holiday destination in the world for TripAdvisor in 2012! 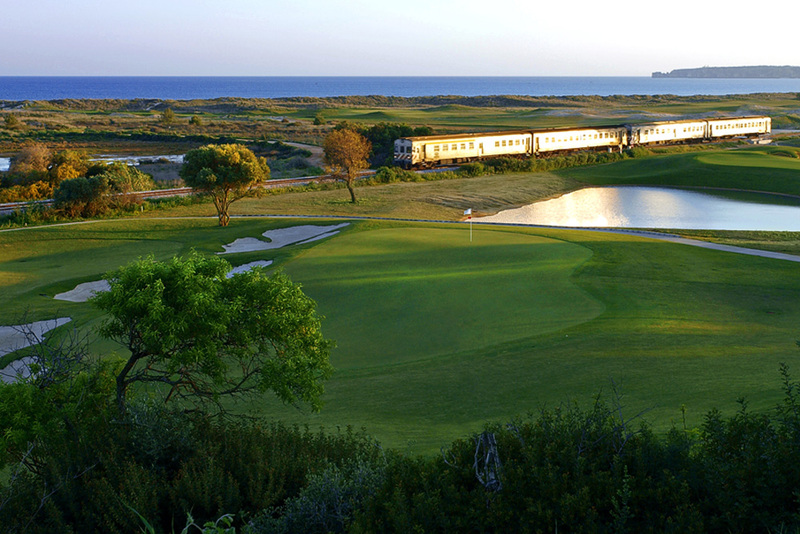 But it is also home to the renowned Palmares Onyria track. Robert Trent Jones Junior, extensively remodeled the course in 2011 and we were lucky enough to attend the opening and play the first round on the new course. So this is in some ways a home coming to a favourite part of the world, and a course we know and love. Robert Trent Jones Jr’s CV is an impressive one, with 270 golf courses across six continents, including the remodeling of Celtic Manor for the 2010 Ryder Cup. 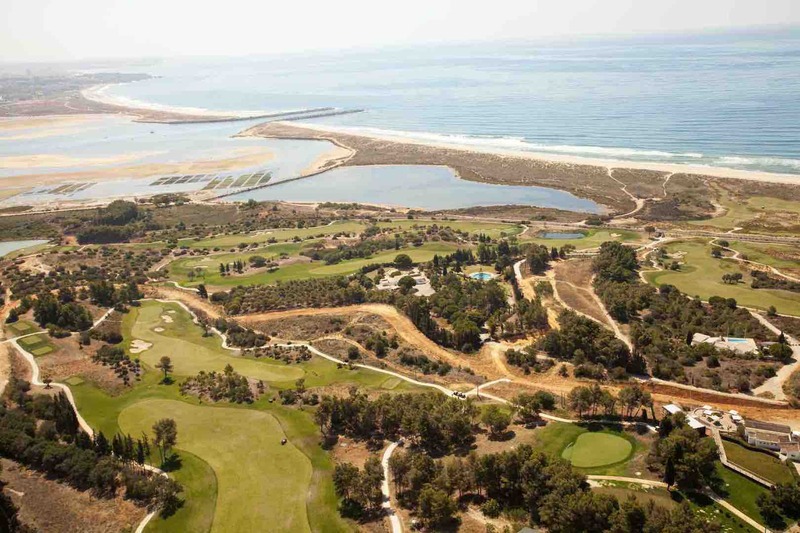 The remodeling of Onyria Palmares in 2011 also saw the addition of nine holes, so this is now a 27–hole track with three nine hole loops you can mix and match to play: the Alvor, Lagos and Praia. 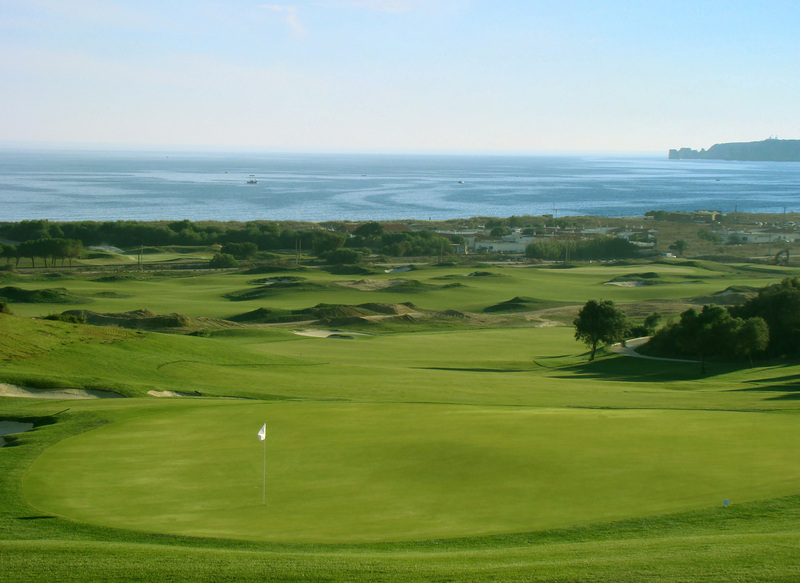 All nines enjoy expansive panoramic views across the Bay of Lagos and Ria de Alvor, and you’ll be hard pressed to find scenery like it to enjoy your golf. There’s also a train line running through the links part of the course, so there’s a hint of Scotland and the North West links courses, but with rather better weather! 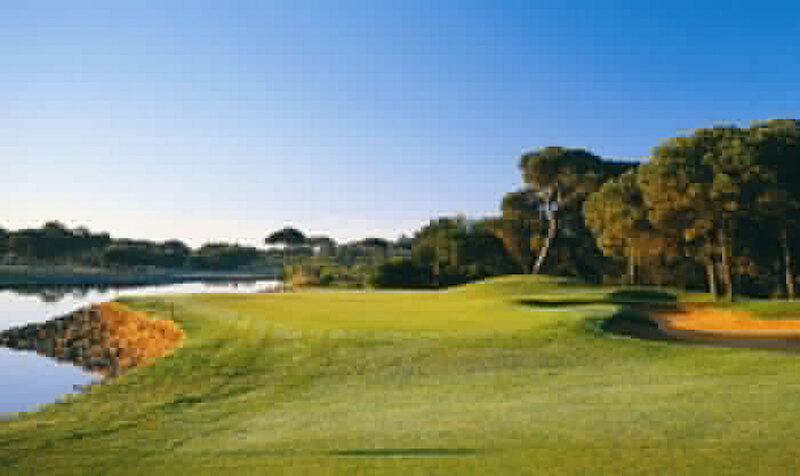 The Alvor is predominantly parkland, on the elevated areas of the site, whilst Lagos combines parkland and dunes, and Praia, laid out upon the site’s lowlands, presents a links experience through impressive natural and restored coastal dunes. 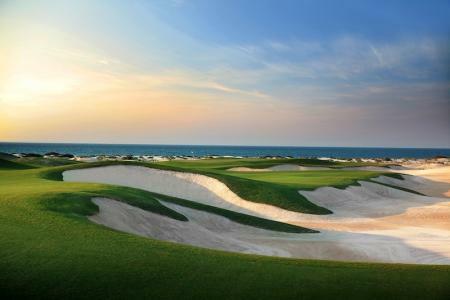 We start our 27–hole experience with a fiercely competitive 9–hole Texan scramble on the dunes laden Praia nine. Teeing off from high above the course, the first, a par 4 stoke index 3, descends from a parkland setting into the dunes. It’s a classic RTJJ dogleg, and you have to get the right line if you are to get a second shot into the green. You buggy your way under the railway line, and then there are four glorious seaside holes to relish. If there is to be a favourite nine, then this is it. The ninth is another dogleg, which climbs the steep hill back to the welcoming clubhouse. Then it’s time for a beer, before we set out to play a Stableford competition over the Alvor and Lagos nines. I’m teamed up with Steve Bainbridge, who managed and coached Robert Rock for twenty years, and was there in Dubai to celebrate Rock’s famous victory over Tiger Woods in Abu Dhabi in 2012. Steve is now running the Elite Coaching Academy, which is based in the luxury Cascade hotel in nearby Lagos, and has a coaching practice with six PGA Pros in Kent. Steve let’s me hack it around for a few holes, until he feels it is the right time to intervene. And intervene he does! He immediately diagnosis where it is all going wrong for me, and sets to put it right. 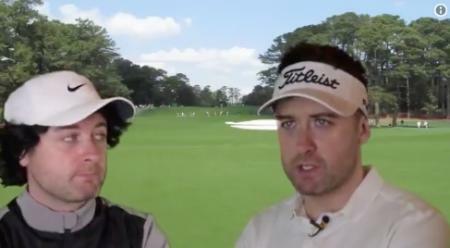 The problem lies in my follow–through, and Steve helps me to make a simple swing change. I just have to keep my left arm straight through impact. 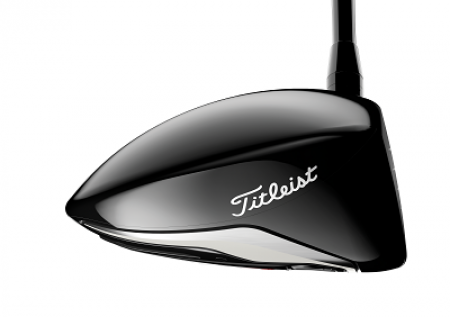 But boy does it make a huge difference, both to my driving and irons. He’s transformed me! If you need a proper sort out, then Steve is 100% your man. Like many teaching Pro’s, Steve doesn’t actually get out and play much golf, so it’s a rare pleasure to have him out on the course with us, and watch how it should be done properly. The nine starts with a 387–yard up hill Par 4, which as stroke index two, is a tough start to the round. It’s followed by a190–yard downhill Par 3, which is untypically defended by a single, small, bunker. We see what we think is a huge white cloud, but it turns out to smoke from a massive fire that is burning nearby. Apparently there have been a number of arson incidents in the area, and as we later arrive in Faro, some 70 kilometers away, the smoke is still very much in evidence. 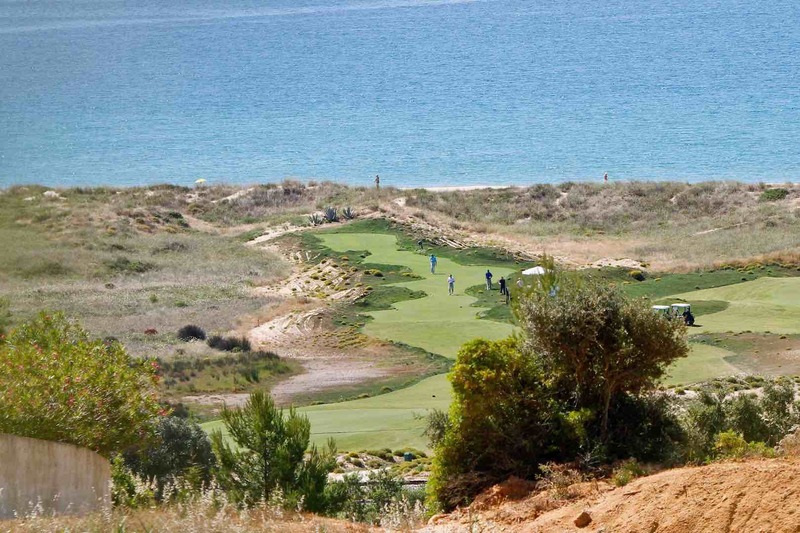 The opening three holes of the Alvor are not my favourites, but the course really gets going with the Par 5 fifth, which cascades down the hill within the confines of a steep ravine. This nine is all about elevation changes, as you ascend steep hillsides and then descend through intimate valleys. Onto the Lagos loop, and we start in a pine tree laden parkland setting, kicking off with a neat Par 4, stroke index 4, 313 metres. The only water on the 27–holes is on two holes on this nine, with the Par 3 12th challenging you with a 136 metres short–iron shot onto a narrow green, with bunkering at the back for good measure. Steve chooses to give me another iron tip at this point, and I lose three balls before I properly connect. It’s an expensive lesson in that respect, but in no other. We then get held up by a slow four ball, which slightly takes the shine of our final five holes. That can be a problem with holiday golf, but we grin and bear it as we know we are close to the end and a refreshing pint of Super Bock in the clubhouse with its magnificent views over the bay and the Atlantic. 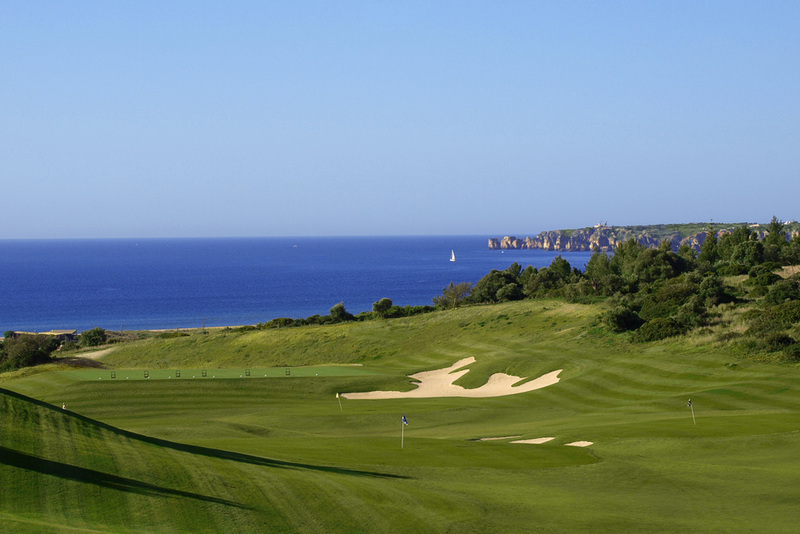 The course has deservedly received many accolades; it was acclaimed as the third-best golf course in Portugal in 2016 by Golf Digest and also ranked 21 in Golf World’s benchmark Top 100 Golf Courses in Continental Europe 2015/16. Believe me, you will not be disappointed. The club is also opening a 5–star boutique Onyria Palmares Beach House hotel in early 2017, which will have18 rooms and two suites – each with beds facing the windows so guests can wake up to a view of the magnificent Meia-Praia beach. 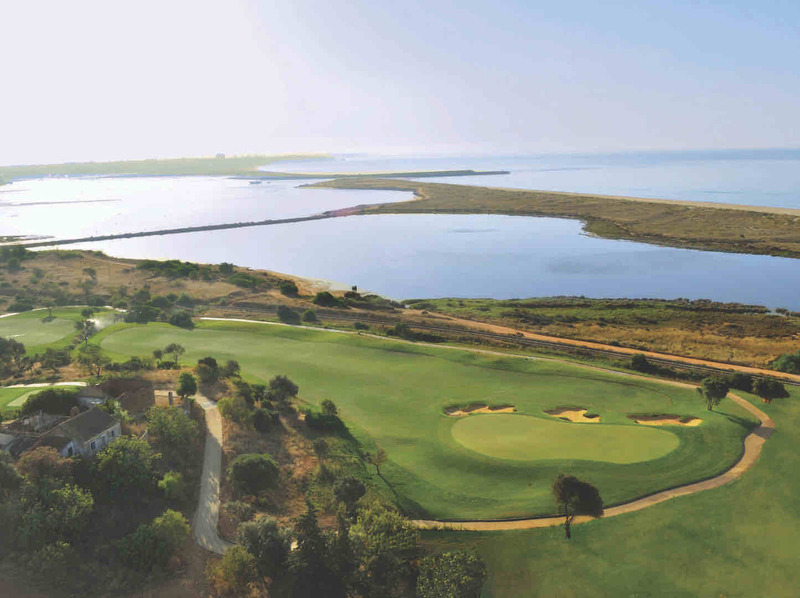 The hotel will be located between the golf course’s 18th green and the driving range, just 700m from the beach, and you will enjoy 180 degrees of panoramic views to the Bay of Lagos – the four-kilometre beach which extends from the Ria de Alvor estuary to the city walls of Lagos. That’s another good reason to come back just as soon as.